9:45 a.m.— opening blessing for a day of fun and celebration. Bring the family out to the Waihe‘e Refuge! See the restoration work that Maui Coastal Land Trust has done and are learn about the progress they’ve made at the rerfuge. Explore for yourself at this free event. Blessing of new interpretive trail signage at 9:45 a.m. Please RSVP! Confirm your attendance by calling 244-5263, or emailing info@mauicoastallandtrust.org. Time for Lunch is a national “Eat-In” of big, community pot-lucks to highlight the need to get real food into our schools. Slow Food USA and its chapters nationwide have organized this event to encourage parents, teachers and citizens to urge our nation’s leaders to update the Child Nutrition Act NOW and provide children with real food in schools. They’ll make it easy for you to write a letter, send an e-mail, make a phone call to our legislators urging them to insist on real food in our schools. Expect More, Maui is a loosely formed group of people dedicated to the proposition that government works for the people, by the people, and there is probably a reasonable time frame for them to do that work. Why does Maui seem to drag things out forever? Why are decisions made that kill or cripple whole segments of business? (wait until you hear about the latest Ocean Activities Rules) It is discouraging and leads people to apathy and a resignation about not being able to do anything about it. While true that many of us are on Maui because it is laid back, dragging projects out for years just isn’t the same thing as laid back. While having sensible rules is prudent, overregulating whole segments of small businesses that keep money circulating on the island borders on lunacy. This site and the people that connect through it will be the ones that believe we can make a difference. A recent Political Advocacy Workshop led by Gary Hooser on behalf of South Maui Sustainability has a lot of insight about how we can learn how to be effective advocates with our government. Have a look if you’re interested. Let’s get the path at Kealia Pond open, let’s continue work on the Kihei bike path along the north/south collector road, let’s get the next 20 wind turbines up and running at Kaheawa. These are just projects I’m aware of that seem caught in the doldrums called County Government. What are your pet peeves? Let’s pick one project to work as a team. The great thing about this site is that everyone can join in this conversation. We can all inspire each other, give each other great ideas, and create ways to let the people running Maui know that we Expect More from them. The SMS Reef Sustainability Committee is hosting their first event which is the second in a series to address South Maui water issues. In the first water event, we examined water quantity. This presentation addresses water quality issues. Robin Knox is discussing how the Clean Water Act protects our oceans and streams and describing how clean water planning relates to current concerns about wastewater treatment, injection wells, water reuse and polluted runoff control. Robin is an environmental scientist with more than 25 years experience in Clean Water regulation and pollution control. She specializes in developing water quality-based pollution controls that protect aquatic resources from man-made sources of pollution. Doors open at 6:00 for potluck pupus and socializing. The SMS Reef Sustainability Committee is joining forces with Community Workday, Maui Reef Fund, Hawaii Wildlife Fund, Surfrider Foundation, and Stableroad.com to collect litter and debris in an island-wide clean-up. Due to the fact that everything runs downhill, litter ends up in the ocean and is detrimental to our reefs in many ways. For this reason cleanup activities are being organized mauka as well as along the coast. SMS is organizing a group to clean up around Kealia Pond. South Maui Sustainability is looking into the idea of a Community Bike Share Program for South Maui. Many bicycles are made available to the public at little or no cost as a ‘take a bike, leave a bike’ concept. Community bike programs have been created to address protecting and conserving the environment, saving money, reducing traffic, promoting good health and building community. Bike programs such as these are a great way to expand the conversation of creating more sustainable, livable neighborhoods. SMS is looking for other local groups that we may partner with to create a non-profit to run the program. In the very near future we hope to have an initial meeting of stakeholders to brainstorm this idea. 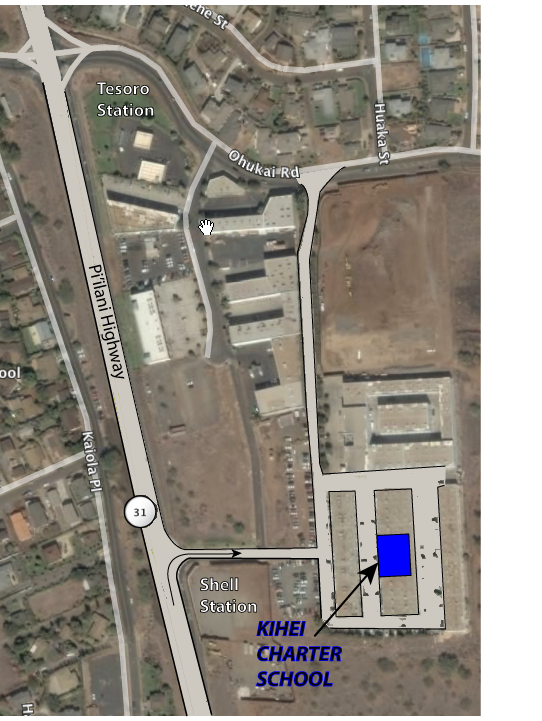 Some groups that seem obvious partners would be Kihei Community Association and the Maui Bicycle Alliance. We hope other groups and individuals would be interested to talk about this idea. Please help make this a success by thinking of others that might want to join us. Mahalo. On August 6th South Maui Sustainability hosted a Public Advocacy 101 workshop hosted by Hawaii State Senate Majority Leader Gary Hooser from Kauai. Senator Hooser generously gave his time and years of knowledge as an elected official to let us know the best way to make connections and be effective at getting issues of concern heard by our local politicians. See our adovcacy tips and a list of all our local elected officials. We invited not only our SMS mailing list, but also representatives of 25 other environmental and activist groups to come so the information could be used by our community. A video of the event is available on our site courtesy of Dr. Leisure. We’re planning future events around advocacy issues with other speakers including Maui County elected officials. Maui Screening of Food, Inc.
How much do we know about the food we buy at our local supermarkets and serve to our families? Though our food appears the same—a tomato still looks like a tomato—it has been radically transformed. Food, Inc. lifts the veil on the U.S. food industry—an industry that has often put profit ahead of consumer health, the livelihoods of American farmers, the safety of workers and our own environment. This is a must see movie for anyone concerned about sustainable food systems and understanding where your food comes from. Food, Inc. reveals how complicated and compromised the once simple process of growing crops and raising livestock to feed ourselves and our families has become. It also reminds us that despite what appears to be a hopeless situation, each of us has the ability to vote on this issue every day—at breakfast, lunch and dinner. Check out a great interview on The Daily Show with John Stewart and the Director of the film. Thank you to everyone who joined us on Saturday evening July 18th for our second SMS “Dinner and a Movie” event! These are ‘locavore potlucks’ where we ask people to bring dishes made from ingredients from Hawaii. We set up 3 large tables that were filled with fresh fruits and veggies, and many delicious dishes including a selection of salads, a fresh venison dish, and chocolate covered strawberries. There was an abundance of great flavors and plenty of food for all. The meeting began with a screening of Sustainability 101 a short film about the stewardship role played by SLIM (Sustainable Living Institute of Maui). We enjoyed meeting the two young interns from France who are working with SLIM this summer and attended on behalf of Alex De Roode. Then Kelly King introduced the newly edited version of Revolution Green, which profiles Bob and Kelly King’s development of their company Pacific Biodiesel. From his humble beginnings as a diesel mechanic working at the Maui Landfill, with the support of his wife Kelly by his side, the film took us on an educational journey about biodiesel on Maui. The awareness and passion of the King’s, coupled with their commitment and hard work, have grown a sustainable global business with roots right here in our own backyard. Nice to see Willie Nelson and his family’s relationship with biodiesel in the film as well! The evening rounded out with talking story and exchanging seeds; sharing fruit and meeting new friends and neighbors, some of whom drove a long way to attend. We had a fun, mellow evening together and plan to do it again. In just over a year our mailing list is over 700 strong. It’s great that so many people are interested in sustainability issues. We invite you to get more involved with our group. We are growing so fast that we need more help to keep doing great things in our community. Please write us to let us know what might interest you, from our garden programs, to renewable energy to fundraising to administrative work. Maybe you even have an idea for a new committee we haven’t thought of yet. Come and play with us to promote sustainability and build community. Maui Screening of: Food, Inc.
5:00 p.m. and 7:30 p.m. In Food, Inc., filmmaker Robert Kenner lifts the veil on our nation’s food industry, exposing the highly mechanized underbelly that’s been hidden from the American consumer with the consent of our government’s regulatory agencies, USDA and FDA. Our nation’s food supply is now controlled by a handful of corporations that often put profit ahead of consumer health, the livelihood of the American farmer, the safety of workers and our own environment. We have bigger-breasted chickens, the perfect pork chop, insecticide-resistant soybean seeds, even tomatoes that won’t go bad, but we also have new strains of e coli—the harmful bacteria that cause illness for an estimated 73,000 Americans annually. We are riddled with widespread obesity, particularly among children, and an epidemic level of diabetes among adults. Featuring interviews with such experts as Eric Schlosser (Fast Food Nation), Michael Pollan (The Omnivore’s Dilemma) along with forward thinking social entrepreneurs like Stonyfield Farms’ Gary Hirschberg and Polyface Farms’ Joe Salatin, Food, Inc. reveals surprising—and often shocking truths—about what we eat, how it’s produced, who we have become as a nation and where we are going from here. In Food, Inc., producer-director Robert Kenner and investigative authors Eric Schlosser (Fast Food Nation) and Michael Pollan (The Omnivore’s Dilemma) lift the veil on the U.S. food industry—an industry that has often put profit ahead of consumer health, the livelihoods of American farmers, the safety of workers and our own environment. They reveal how a handful of corporations control our nation’s food supply. Though the companies try to maintain the myth that our food still comes from farms with red barns and white picket fences, our food is actually raised on massive “factory farms” and processed in mega industrial plants. The animals grow fatter faster and are designed to fit the machines that slaughter them. Tomatoes are bred to be shipped without bruising and to stay edible for months. The system is highly productive, and Americans are spending less on food than ever before. But at what cost? Cattle are given feed that their bodies are not biologically designed to digest, resulting in new strains of E. coli bacteria, which sickens roughly 73,000 Americans annually. And because of the high proliferation of processed foods derived from corn, Americans are facing epidemic levels of diabetes among adults and alarming increases in obesity, especially among children. And, surprisingly, all of it is happening right under the noses of our government’s regulatory agencies, the USDA and the FDA. The film exposes a “revolving door” of executives from giant food corporations in and out of Washington D.C. that has resulted in a lack of oversight and illuminates how this dysfunctional political system often operates at the expense of the American consumer. In the nation’s heartland, farmers have been silenced—afraid to talk about what’s happening to the nation’s food supply for fear of retaliation and lawsuits from giant corporations. Our laws today are such that corporations are allowed to patent seeds for crops. As a result, Monsanto, the former chemical company that manufactured Agent Orange and DDT—in a span of 10 years—has landed its patented gene in 90% of the nation’s soybean seeds. Farmers are now forbidden to save and reuse these seeds and must instead buy new seed from Monsanto each season. Armed with a team of employees dedicated to enforcing their seed patents, Monsanto spends millions every year to investigate, intimidate and sue farmers -many of whom are financially unable to fight the corporation. Food, Inc. also introduces us to courageous people who refuse to helplessly stand by and do nothing. Some, like Stonyfield Farm’s Gary Hirshberg and Polyface Farm’s Joel Salatin, are finding ways to work inside and outside the system to improve the quality of our food. Others are brave men and women who have chosen to speak out, such as chicken farmer Carole Morison, seed cleaner Moe Parr and food safety advocate Barbara Kowalcyk. Their stories, both heartbreaking and heroic, serve to demonstrate the level of humanity and commitment it takes to fight the corporations that control the food industry. It’s important to note that the filmmakers attempted to interview representatives from Monsanto, Tyson, Perdue and Smithfield, but they all declined. Food, Inc. illustrates the dangers of a food system controlled by powerful corporations that don’t want you to see, to think about or to criticize how our food is made. The film reveals how complicated and compromised the once simple process of growing crops and raising livestock to feed ourselves and our families has become. But, it also reminds us that despite what appears to be at times a hopeless situation, each of us still has the ability to vote on this issue every day—at breakfast, lunch and dinner. South Maui Sustainability is sponsoring the second in a series of community meetings which address South Maui water issues. Previously we examined water quantity. This presentation will introduce water quality concerns and how the South Maui community can have a hand in designing and creating the South Maui Watershed. Photo by Peter Liu Photography, peterliuphoto.com. The SMS Reef Sustainability Committee is joining forces with Community Workday, Maui Reef Fund, Hawaii Wildlife Fund, Surfrider, and Stableroad.com. to collect litter and debris from roadsides and shorelines in an island-wide clean-up. Besides being an eyesore, litter ends up in the ocean and is detrimental to our reefs in many ways.